Saturday, October 7, 2017 1:00 PM University High School AWAY 10 Prospect Ridge Academy HOME 16 Game Recap . Friday, September 22, 2017 7:00 PM University High School AWAY 33 Middle Park High School HOME 9 Game Recap . Friday, September 29, 2017 7:00 PM Eaton High School AWAY 33 University High School HOME 6 Game Recap . Friday, September 15, 2017 7:00 PM Strasburg High School AWAY 26 University High School HOME 0 Game Recap . Friday, September 1, 2017 4:00 PM University High School AWAY 34 Machebeuf HOME 7 Game Recap . Congratulation Corben Wilcox. 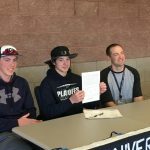 Corben has signed a National Letter of Intent to attend Benedictine College in Atchison, KS and play football next fall. 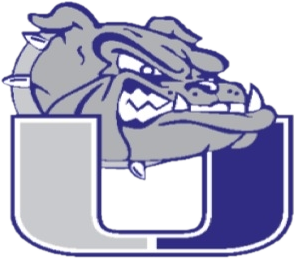 For the first time since the 1985 football season, the University Bulldogs will be participating in the CHSAA State Football Playoffs. 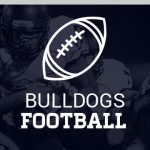 The Bulldogs will be playing on Saturday November 5th against La Junta. The game will be played in La Junta, with kick off at 1p.m. Congratulations to all the Bulldog football players and coaches. The C-Team Football Game Scheduled for 9-13-16 at Resurrection Christian has been CANCELED.